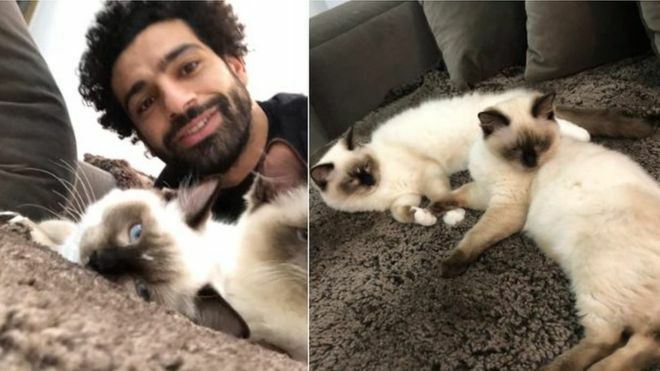 Football star Mo Salah has spoken out against plans in his home nation of Egypt to export stray animals abroad, amid fears they will be used for food. “Cats and dogs will not be exported anywhere. This won’t happen and can’t happen,” he tweeted, alongside images of his pet cats. Animal rights activists reacted with anger over the decision, with many calling for the practice to end. Stray cats and dogs are widespread in Egypt’s streets. The row began after it was reported last week that Egypt’s agriculture ministry had approved the exportation of about 4,000 cats and dogs abroad. Last Wednesday, private Egyptian newspaper al-Masry al-Youm said the ministry had started issuing health certificates to begin the export process for about 2,400 cats and 1,600 dogs. A day later, a ministry spokesperson told Egyptian TenTV channel that the animals had been vaccinated against diseases and would be flown out in accordance with legal procedures. The authorities did not explain which countries they were being sent to, or for what purpose. Liverpool and Egypt forward Salah, who enjoys widespread popularity in his home country and the wider Middle East region, entered the debate on Tuesday, tweeting with the hashtag “no to animal rights violations”.